The day appeared to start off okay but the only real disappointment of the project took place first thing. It’s all in communication, or lack thereof. 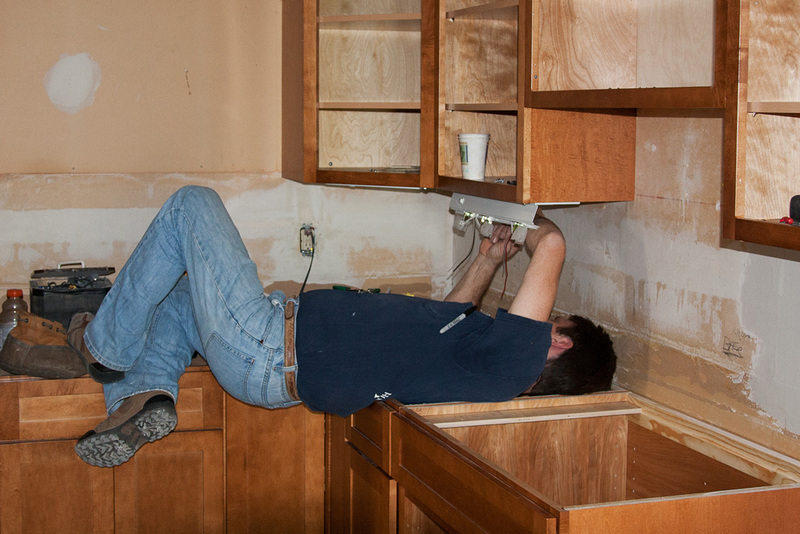 The contractor believed the kitchen ceiling was to be given a texture, not finished flat. 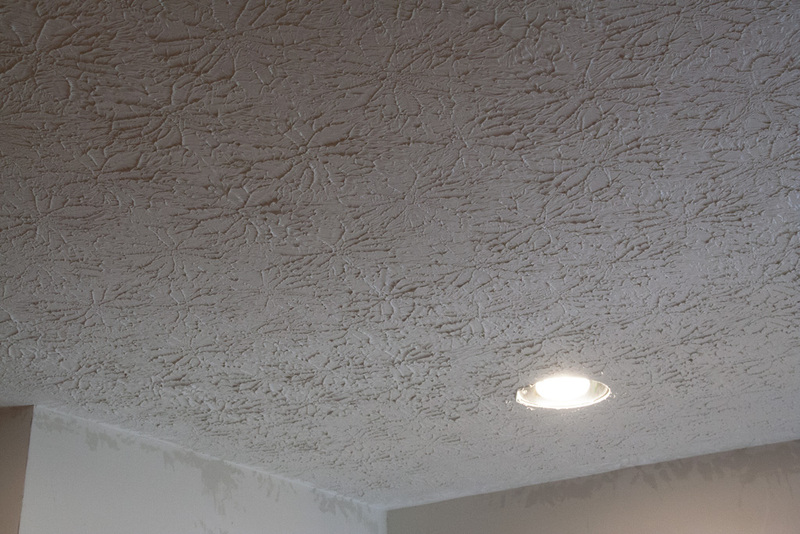 So the crew obliged by spreading a thick coating of compound on the ceiling, then using a high-quality stamping tool to create a dimensional pattern. Unknown to those present, She Who Must Be Obeyed had a flat ceiling in mind and was quite upset when she learned, too late, that the ceiling had been stamped! We discussed the matter, then I spoke with the contractor and we decided the pattern could be softened a bit by lopping off the points that result as the stamping tool is pulled away — points being features drip-like in shape. Painting should also help soften the look. The focus, I pointed out, will never be on the ceiling so we need to keep it in perspective. Personally, I’d previously thought about what a flat ceiling would look like and I’m not sure that was the right answer though I think the existing texture is a bit too prominent. It will be fine. Better things happened later. 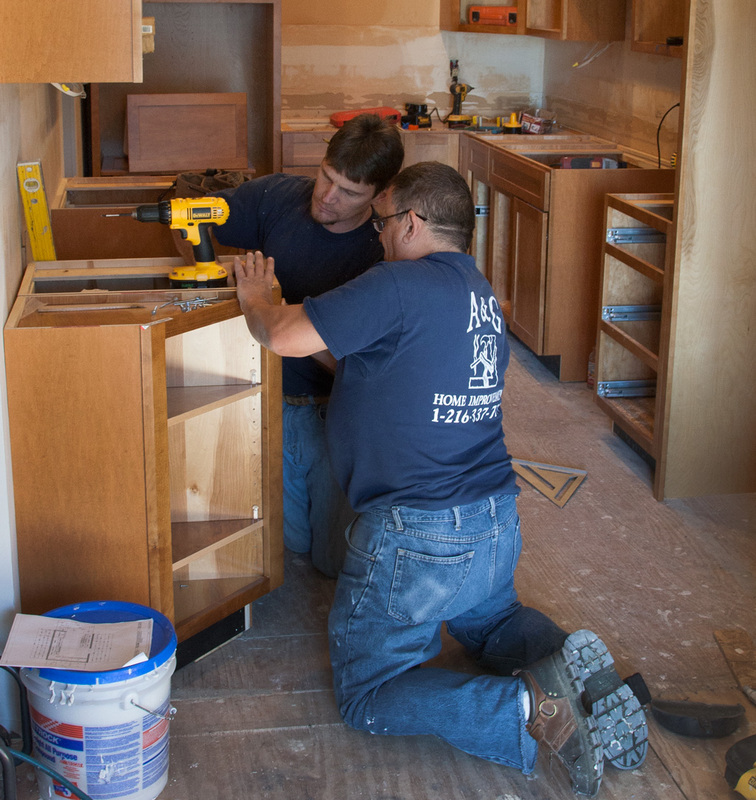 The last of the cabinetry was all set, the new over-the-range microwave installed, under-cabinet task lighting went up, electrical was finished, and they were preparing the subfloor to receive its new laminate flooring system. Tomorrow should be really interesting with the first of the flooring due to be installed and the ordering of a beautiful new Cambria quartz countertop! She wanted a flat finish. The contractor likes a deep texture. I’m stuck in the middle. 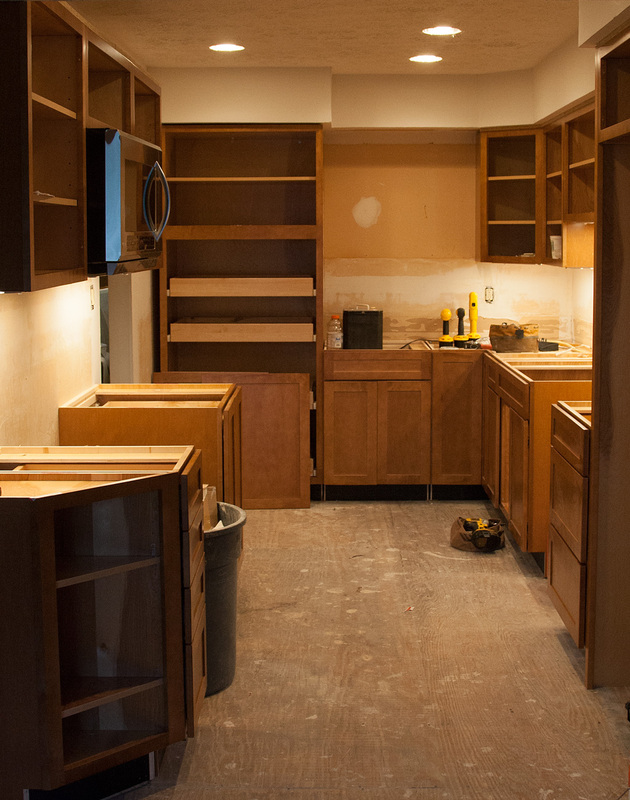 The last of the cabinets is installed. 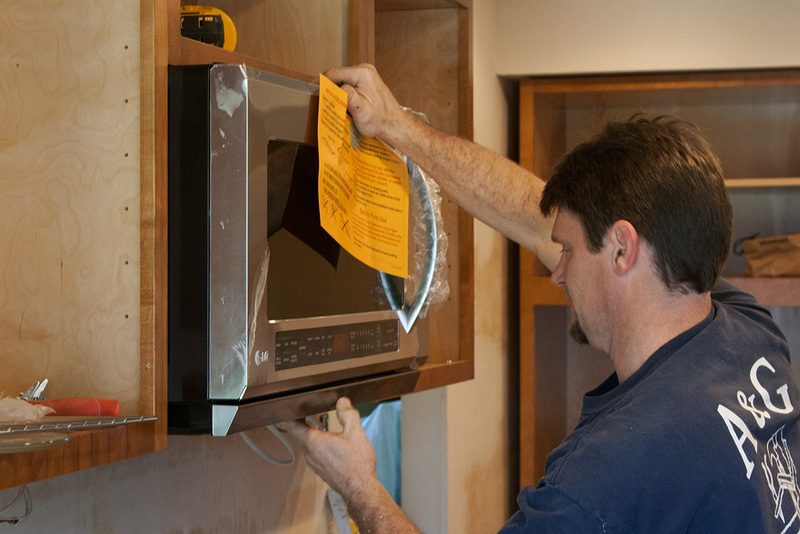 New over-the-range microwave goes in. Will need to be leveled. Installing the corner task light. Ouch! At the end of Day 4. I’m with She Who Must Be Obeyed. Whenever you accidentally buuuurn some food and black smoke rises to the ceiling or just fry stuff and grease gets airborne (this never happens to you? then never mind), the soot will stick to and make funny patterns on all the texture… of course you can paint it over regularly, but easily washable smooth surfaces in kitchens and baths is my preference.